The Chinese Type 07 aka ZBD-09 8×8 Wheeled Infantry Fighting Vehicle was first publicly shown (and its family variants) during the military parade in Beijing for the 60th anniversary of the Chinese army (PLA) in October 2009. Protection: Base armour is hardened steel protecting against 12.7mm rounds over the frontal arc and 7.62mm on the sides, as well as all over protection against artillery shell splinters. Additional appliqué modular armour can be added. Smoke grenade launchers are also fitted for laying down a smoke screen for withdrawing. It’s believed and most likely it has an NBC protection system and automatic fire extinguishing system. Layout: Driver front left, engine front right, rear section various depending on variant role. 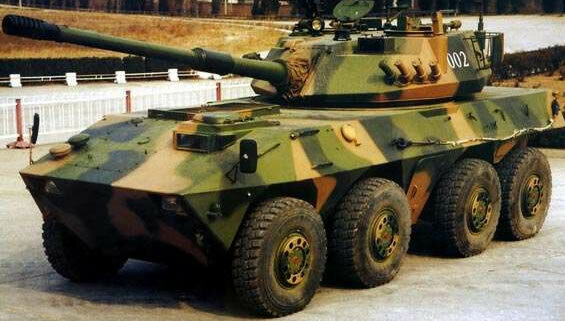 Has a x2 man turret equipped with a 30mm chain gun, 7.62mm coaxial MG, x2 wire-guided Hong Jian-73C anti-tank guided missile launchers. 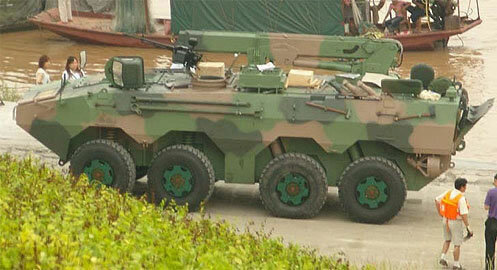 Rear section accommodates x7 troops. 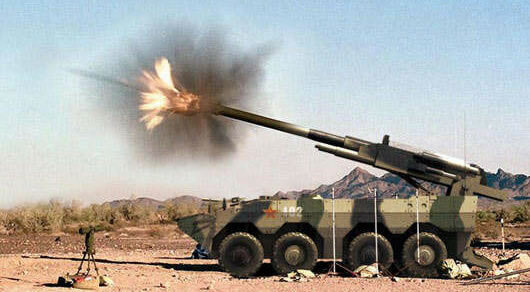 Artillery version with a 122mm howitzer The howitzer sits in a fixed cradle and is a modified Type 86 (Russian D-30). Vehicle has a raised rear superstructure to accommodate command staff, tables and boards. Various equipment carried for field repairs. Has a hydraulic jib crane for lifting out broken down powerpacks. Vehicle commander located behind driver and has 7.62mm MG. Vehicle is capable of towing the ZBD09 family of vehicles. 105mm rifled main gun mounted in a x2 man turret.